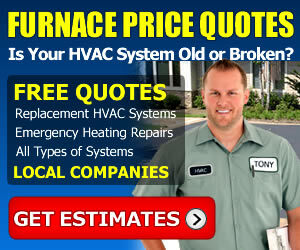 The Furnace Price Guide website is a product from the team at HVAC Guides, LLC in Charlotte NC. Established in 2008, our goal is to provide consumers with informative and detailed buying guides to address their needs in home HVAC, Heating and Air Conditioning Systems. 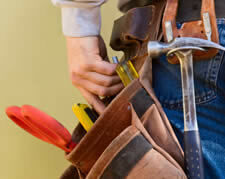 After we help you learn more about the equipment that heats and cools your home, we can help match your needs to the best local Contractors who are qualified, licensed, and willing to provide free price quotes. Why We’re Qualified to Help You! Since 2002, we’ve had working knowledge of the HVAC industry, both online and offline! Aside from building small business websites direct within the industry, we partnered on a very successful e-commerce business selling hvac products direct to professionals and qualified consumers from 2004-2008. When the manufacturing industry tightened its control of online equipment sales due to safety factors, the business was closed down. Along with the price guides here, we have more than 35 related industry websites focused on various areas of residential hvac. What Can You Learn on Our Site? In addition to the furnace types listed above, our site contains pages for leading brands that contain the various manufacturers of furnaces, with detailed price guides for the models they sell. Currently, we have pages for the following equipment manufacturers, with more on the way! Heating and Air Conditioning contractors in our partner network have been pre-screened to ensure they are licensed in their state, properly insured and qualified to perform type of work needed in your home. In addition, each contractor has committed to provide competitive price estimates to our customers, and assure they answer your request as soon as possible, and in a timely manner. After you receive your estimates, you will be contacted and asked to rate your experience with the companies who provided your estimates. We encourage you to to leave reviews of the business, as it helps us do our job better.